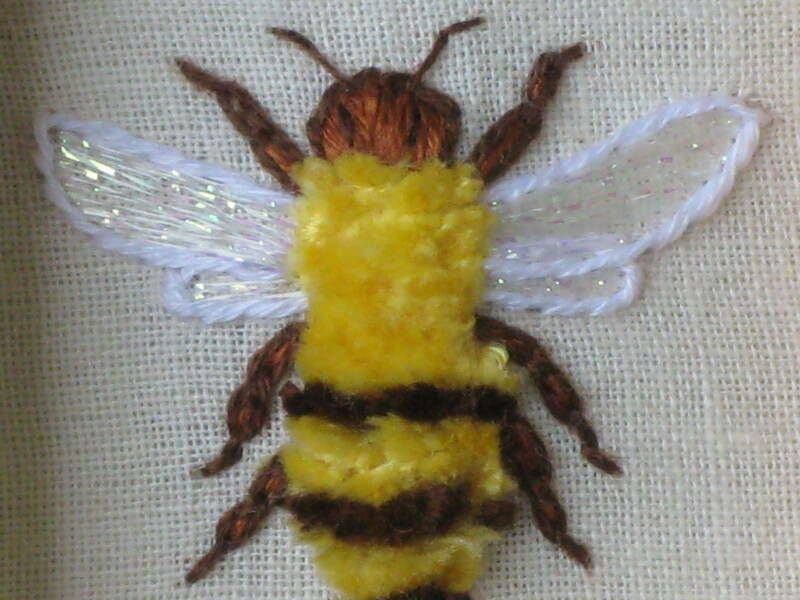 The bee is stitched in DMC cotton and Kreinik blending filament on muslin. These 2.6″ x 2.6″ unfinished wooden boxes are available (and inexpensive) at big box craft stores, and they are like popcorn to me. I’ve done several little peacocks and birds and flowers for box tops. (This is the first bug.) Perhaps most appealing is their portability. The design fits easily in a 4″ hoop, so they can go into a purse or backpack very easily. The boxes come with glass, but I removed it for the bee. Part of the charm of Turkey stitch is its touchability. 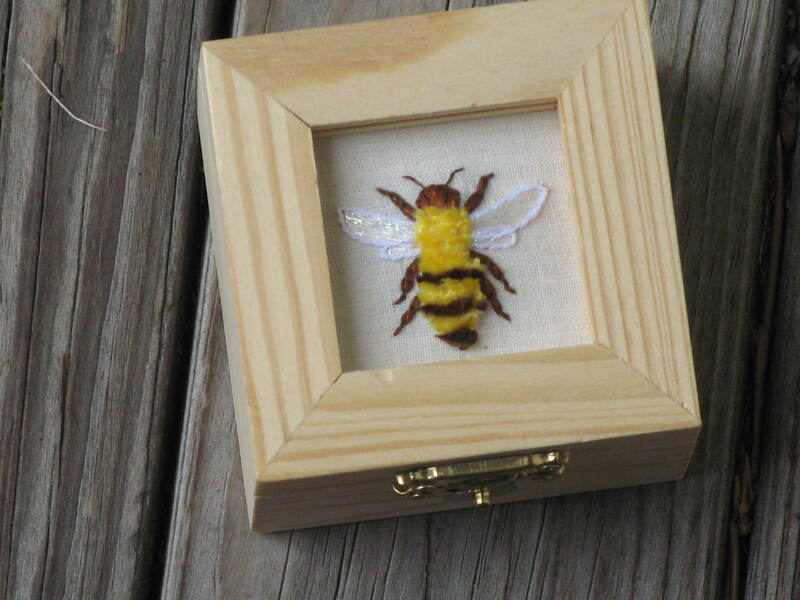 This entry was posted in Uncategorized and tagged bees, box tops, bugs, embroidery, surface embroidery by Rene. Bookmark the permalink.